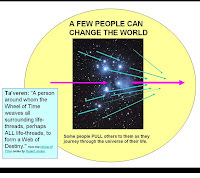 Tutor Mentor Institute, LLC: How can one person change the future? How can one person change the future? I created this graphic a few weeks ago to illustrate an idea. This is an image of the universe showing thousands of stars. 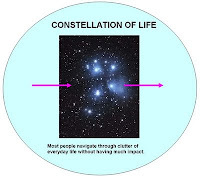 Think of these as the people we pass as we journey from birth do death in our lifetimes. How many are influenced by our ideas and actions? I've been reading a series of Wheel of Time Books written by Robert Jordan. 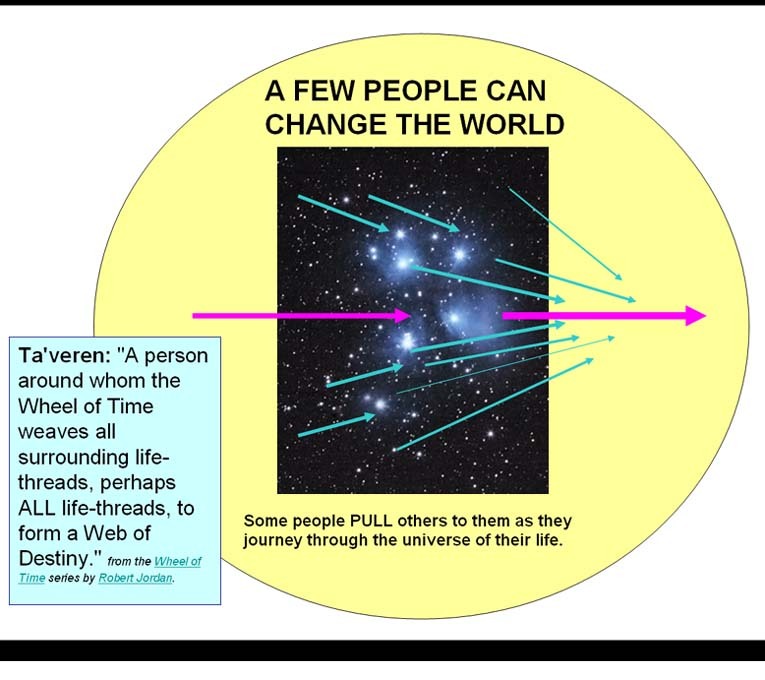 The term Ta'veren (pronounced: tah-VEER-ehn) describes "people around whom the Wheel of Time specifically weaves the Pattern with all surrounding life-threads." Imagine if more of us were "Ta'veren" and as we went through life our actions influenced what others do. This graphic illustrates that concept. As we enter the new school year there are countless numbers of people in the US and around the country writing about poverty, education, workforce development, urban violence, social justice. Many are highly visible leaders and celebrities. Many have huge amounts of wealth. I am just me. I'm a grain of sand on the ocean floor -- and likely just as invisible and Un-noticed. Even if I had wealth, power and influence I could never be engaged in all of the discussions that are taking place. No one can. Yet, I believe I and others acting like me can help shape the future. I've written about network building in articles like this and many others that you can find in the archives of this blog. In addition I've constantly looked for ways to add my ideas into places hosted by others. This Debategraph form is the most recent example. If enough of us put our ideas and work-plans on web sites and connect with each others in on-line portals we can expand our network. When we do connect in face-to-face events these can serve as "sparks" to ignite our imagination and as reinforcement to help us continue in our work. I've done this for 35 years and via the Internet for the past 13 years. 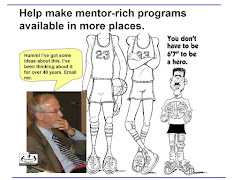 I know many who are following these ideas and have found many to help me in various ways. 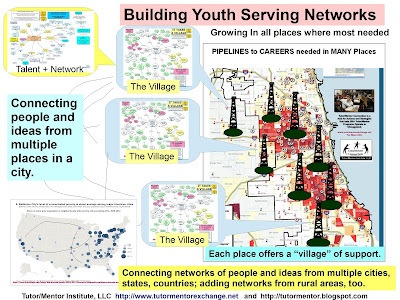 I hope more will connect with me in the Nov. 4 Tutor/Mentor Leadership and Networking Conference in Chicago or through one of these on-line communities. We can all help shape the future. June 2017 update - Buckminster Fuller used the idea of a "trim tab" to show how one person can change the world. See article. 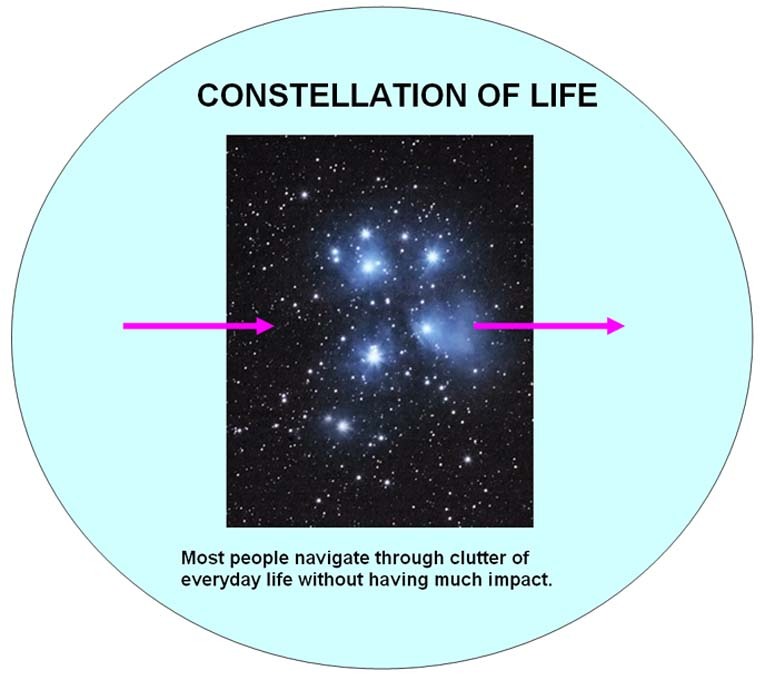 Dan, love the mindmap and the constellation graphics. Have you read The Power of Pull? I've just started reading it... much there I think you'd appreciate and connect with. Definitely supportive of your concepts. How do we connect with this talent? How did Edison do it? New School Year. New Role. Same Goals.